Tortures of the Damned/Hunter Shea Publicity Tour | Oh, for the HOOK of a BOOK! 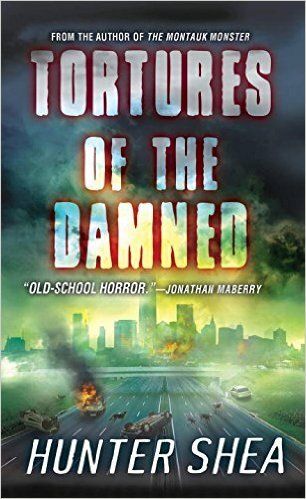 Welcome to the publicity page for Tortures of the Damned (Pub: July 28, 2015, Kensington) by Hunter Shea, created and managed by Erin Al-Mehairi and Tim Busbey of Addison’s Compass Public Relations and Hook of Book Media and Publicity. We are so glad you’ve stopped by, but be sure to pop in periodically for news and updates ongoing! The horror book tour stop schedule will be updated BELOW each day. Will you be escaping the madness with us? Stock up on supplies and ammo, you’ll need it this time around! Enter to win a signed book of your choice or e-book by Hunter Shea, plus bookmark! 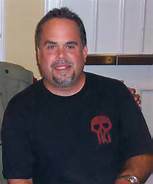 Hunter Shea is the author of the novels The Montauk Monster, Sinister Entity, Forest of Shadows, Swamp Monster Massacre, Island of the Forbidden, and Evil Eternal. His stories have appeared in numerous magazines, including Dark Moon Digest, Morpheus Tales and the Cemetery Dance anthology, Shocklines : Fresh Voices in Terror.